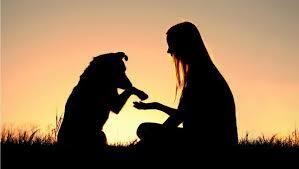 People often believe that the ability to communicate with dogs is a ‘gift’. It’s not. It’s a science. If you work with dogs in any avenue – be it the veterinary industry, grooming, boarding, dog walking, doggie daycare – then you absolutely must be fluent in domestic dog communication to be able to carry out your job appropriately. Do you wish you understood your own dog better? Do they seem to get upset without you noticing that something was off? Do you worry about their play style, or would you like to be able to communicate back to your own dog correctly? Are you nervous of dogs? Would you love to be able to read strange dogs better so that you can predict when they may be a threat or not? This course will teach you how you can become fluent in dog communication, from understanding how they communicate their different emotional states, to learning how to interpret appropriate or inappropriate play, and even how you can use your own body language to communicate with dogs. The knowledge and skills you acquire from this course will be absolutely invaluable, and will stay with you for a lifetime. Sign up now to take this 4 week course! If you would like to gain a certificate upon course completion you will have a short online exam, and a written assessment to complete.